Paradise Valley, Ariz. (March 27, 2017) – Known as a landmark property in the 1960s and 1970s, Mountain Shadows Resort has made its long-awaited return to serene Paradise Valley, 10 minutes from Downtown Scottsdale. 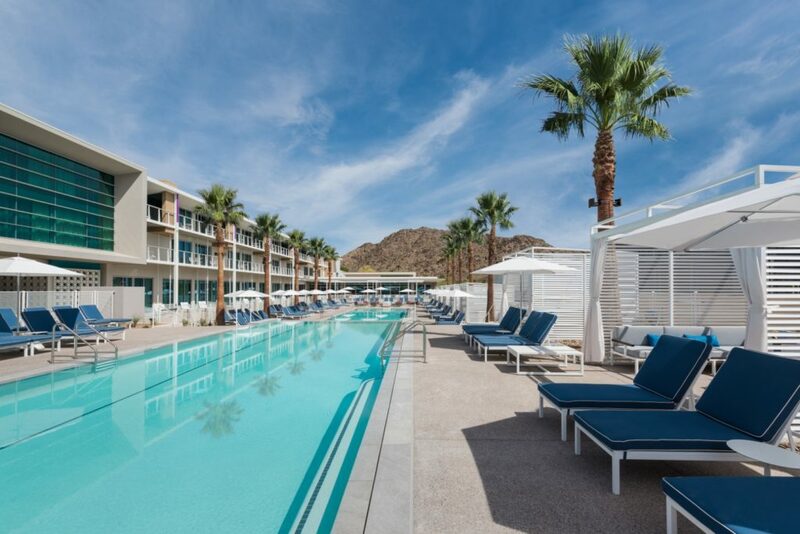 The highly anticipated, $100-million new resort is now open in the shadow of Camelback Mountain. The project is 12 years in the making and the first resort to open in Paradise Valley in eight years. The original Mountain Shadows opened in 1959 and set the benchmark for desert luxury before the town of Paradise Valley was even incorporated. Rebuilt from the ground up through a partnership between Westroc Hospitality and Woodbine Development Corporation, the resort features 183 guest rooms, a presidential suite facing Camelback Mountain, a full-service restaurant, two pools, a high-tech fitness facility, an 18-hole par-3 golf course and grill, as well as 37,500 square feet of indoor and outdoor event space. Mountain Shadows is a complete new build with modern architecture and sleek design features, with thoughtful details throughout the resort that honor the original resort and the rich history of Paradise Valley. 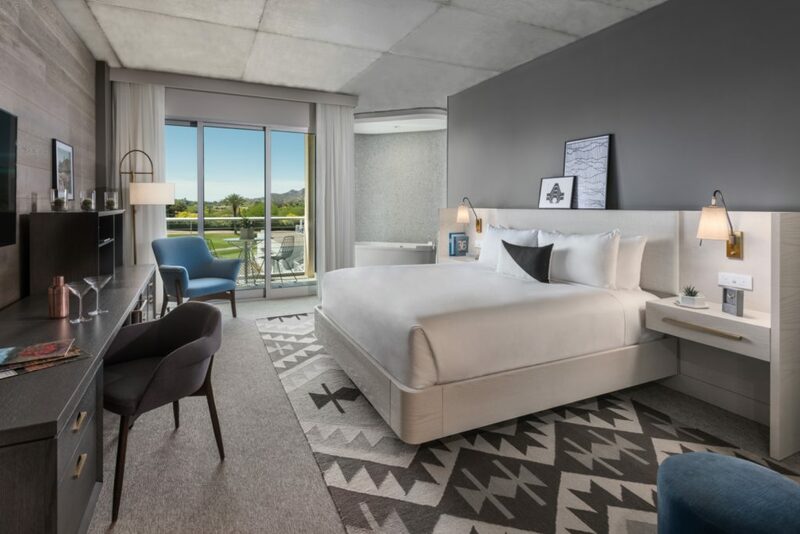 Design elements include: floor-to-ceiling glass, butterfly roofs, furnishings inspired by mid-century modernism, and an abundance of outdoor spaces that highlight the resort’s stunning views. Museum-quality art exhibitions at The Gallery at Mountain Shadows showcase unique original works, all with a connection to Arizona. Led by notable executive chef Charles Wiley, Hearth ‘61 welcomes Valley locals and visitors alike, to experience ingredient-driven American cuisine and inventive cocktails. It seeks to become the social crossroads of Paradise Valley, its name coming from the year the town was incorporated and the hearth oven that imparts smoky flavor to many signature dishes, including a featured roast of the day. The full-service restaurant’s open design, exhibition kitchen, sunken living room lounge and expansive bar area are warm and inviting. Floor-to-ceiling glass and a spacious patio highlight stunning views of the desert landscape and Camelback Mountain. The name of the resort’s pool, fitness center and juice bar pays homage to the Citizens Committee for the Incorporation of the Town of Paradise Valley. Guests can relax and enjoy serene views of Camelback Mountain at one of two 75-foot swimming pools, which include food and drink service along with private cabanas. The resort’s luxurious fitness center boasts top-of-the-line equipment, classes ranging from aerial yoga to TRX and barre, and guided Camelback Mountain hikes, while fresh-pressed organic fruits and vegetables are available at the juice bar. Designed by renowned golf course architect Forrest Richardson, The Short Course is a relatively quick play with 18 par-3 holes. The fully rebuilt course is designed to be challenging for experienced golfers yet approachable for novice players. It is among only a handful of high-end, resort par-3 courses in the United States featuring a full 18 holes. Richardson honors the legend of his mentor and original Mountain Shadows course designer Jack Snyder, ASGCA, by incorporating the natural landscape and beautiful vistas into each hole. 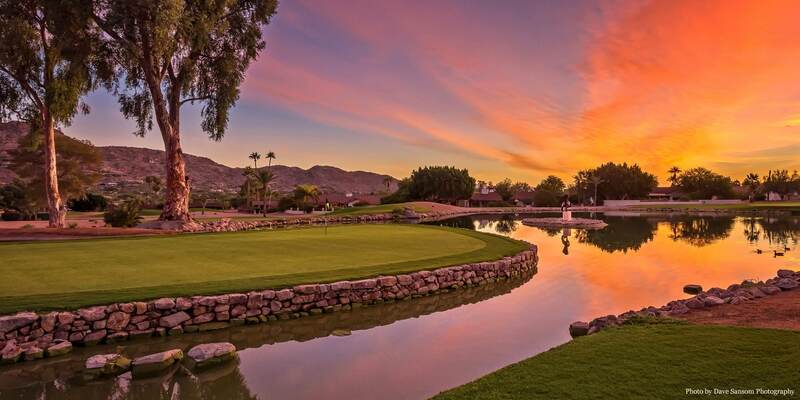 The striking views of Camelback and Mummy Mountains, along with the scenic desert surroundings, make the course a true destination. It also includes an innovative bonus hole dubbed The Forrest Wager and a practice putting green. Featuring outdoor seating, indoor lounge space and a pool table, Rusty’s offers refreshing drinks and a creative take on traditional American fare in a scenic desert setting. It’s the ideal place to settle a bet made at The Forrest Wager or to pick up the latest golf gear and apparel. The name honors real estate legend Rusty Lyon, father of Westroc Hospitality CEO Scott Lyon. Curated by notable local gallery director John Reyes, The Gallery at Mountain Shadows features both public and private collections, including pieces that are available for sale. Art receptions will be held every two months to coincide with each new exhibition, bringing the community together for a social and educational art experience. The first artist to be featured is the late James G. Davis, a long-time Arizona resident and art professor at University of Arizona. Sixteen pieces from his collection, Passages, are on display and for sale at The Gallery through the end of April. Davis’ son, Turner, will be on hand at the inaugural art event on Thursday, April 13 at 6 p.m. to give a brief talk about his father and the inspiration behind his work. The premier boutique at Mountain Shadows, PV Mercantile offers high-end fashions, local products and artisanal food and wines thoughtfully selected to embody the Paradise Valley lifestyle. With 12,500 square feet of bright indoor space and 25,000 square feet of scenic outdoor space, Mountain Shadows is a perfect destination for group events, from luxurious corporate retreats to intimate weddings and other celebrations. Venues include fully appointed boardrooms and grand ballrooms with geometric lighting, pristine lawns, and the 4,000-square foot Camelback Overlook rooftop deck with unparalleled mountain views. Woodbine Development Corporation is a full-service real estate company with over 40 years of development, investment, acquisition and asset management experience. With offices in Dallas, Phoenix and Los Angeles, Woodbine specializes in hotels, resorts and mixed-use developments throughout the United States. The company’s hospitality portfolio features major brands, independent hotels, full-service destinations and select-service stays alike. Since 1973, Woodbine has been involved in more than $7 billion in commercial real estate projects, including the development, ownership, asset management, repositioning and renovation of over 7,000 hotel rooms. To learn more, visit www.woodbinedevelopment.com.